Chris Norem has recovered over $100 million dollars in complex personal injury and wrongful death cases resulting from transportation disasters, construction site accidents, medical negligence, dangerous property conditions and code violations, unsafe products, and many other cases. Norem argued and won the widely reported jury trial, Tellez v. Canadian National Railway, a groundbreaking case which exposed failures throughout the communications system for the Canadian National Railway and permanently changed its method of operations. On behalf of clients who have suffered injury or the loss of loved ones, he has secured tens of millions of dollars in compensation for cases involving transportation disasters, construction site accidents, medical negligence, dangerous property conditions and code violations, unsafe products, and many other issues. His skills are so highly regarded that the 60,000 attorneys in Sullivan’s Law Directory have voted him a Leading Lawyer, a honor given to only the top five percent of lawyers in Illinois. He has additionally been recognized by Thomson-Reuters’ Super Lawyers®in the field of plaintiff’s personal injury law. He has given lectures on personal injury law at the request of legal and medical professional groups. 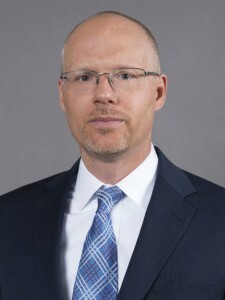 If you are seeking a personal injury lawyer who will handle the most difficult aspects of medical argument with ease, who will keep you informed and stay connected with you during every step of your case, and who will assist you with other matters long after your case is settled and won, look no further than attorney Christopher M. Norem.